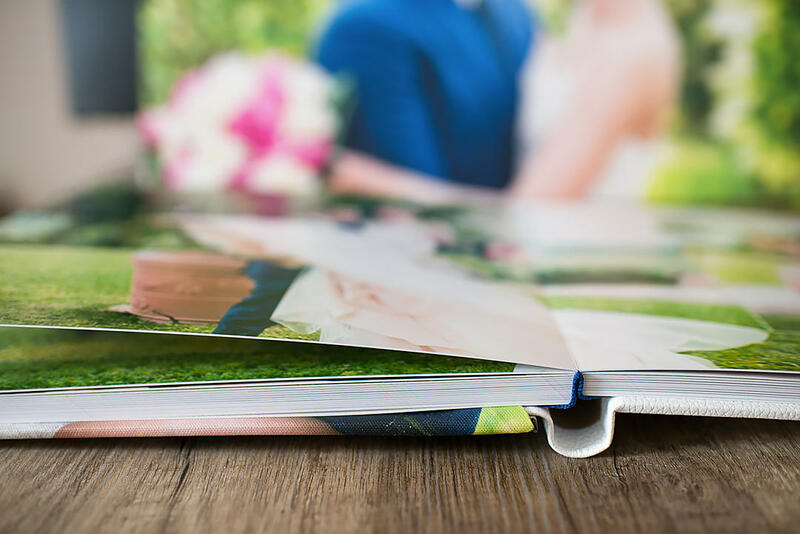 As a wedding photographer, I, of course, make wedding photobooks. Many photographers order books for customers in cheap laboratories to have an extra opportunity to earn by paying a small amount for printing. But for me, the quality of my work is very important, and the end result is very important, that is, a photobook that should please my customers, and serve them for a very, very long time. Therefore, my books can not be cheap. I print my photobooks in one of the best laboratories in Italy, which uses only materials made in Italy for printing, so the price of the book is quite high. 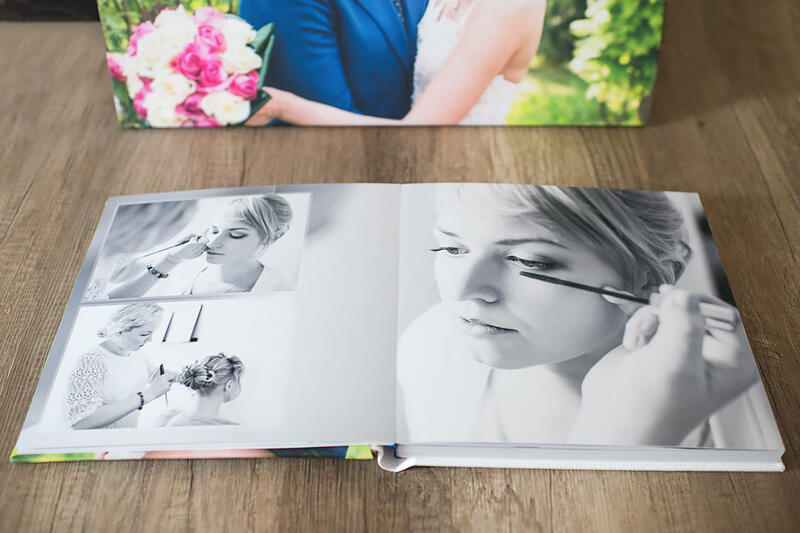 In the photo, an example of a photobook of the "basic" version: 30 x 30 cm (open 60 x 30 cm), 24 spread / 48 pages, in a white leather cover, photo printing in a traditional way on a high quality satin photo paper, the book unfolds on 180 degrees, has thick pages due to the laying out of plasticized cardboard between pages / photos. The cost of the book in the basic version is about 400 euros; at will for an additional payment, you can personalize the cover, or choose a cover version from collection (there are dozens of options). You can also choose any of the sizes, from 20 to 50 cm on the long side, you can add additional pages / spreads, without restrictions. Also in addition, you can order twin books for parents, accurate small copies of the main book; you can supplement the book with a very beautiful box, which also have many options; you can also order books for witnesses, etc . ; "paintings" printed on canvas and many other products. Please contact me for more information, I will gladly talk about the details!